As part of Lobster Grower 2, an Industrial Steering Committee (ISC) has been established which will help guide certain outputs of the project. The project is likely to have many beneficial outputs such as increased stock enhancement potential, improved scientific knowledge of this species and technical innovations needed to culture this novel aquaculture species. Members of the ISC will provide valuable input to the project and will directly influence the outputs of Lobster Grower 2 and therefore their role is of great importance. Four ISC meetings have been held since the start of the project. The meetings have been theme based to aid discussion and to maximise the knowledge transfer from committee members; ‘Identifying a potential market for a cultured lobster’, ‘public perception of LG2’ and ‘Next steps for lobster Aquaculture’. The most recent meeting was held on 6th February 2018 at the Bedruthan Hotel & Spa on the North Cornish coast. Additional funding obtained by University of Exeter through the BBSRC Agri-food Catalyst was used to support meeting costs and aid industrial participation. This ISC meeting aimed to understand future avenues for commercial development of Lobster aquaculture and related technology and services (in particular environmental monitoring) that will be needed to support the industry. Feedback from this meeting will be used to target future research and development activities that support a commercially viable model. The meeting was well attended by industry representatives from Coombe Fisheries, Tesco, the Shellfish Association of Great Britain, the Marine Conservation Society, CEFAS, Murt’s Shellfish, Sankey’s Restaurants and Wing of St Mawes as well as members from the LG2 consortium. As part of the meeting, breakout workshops were held and delegates provided input into subjects such as cultivation technology, lobster broodstock management, aquaculture site selection and the potential lobster aquaculture product. Areas were identified where future research was needed and further technologies to be developed. 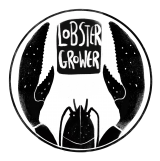 If you are interested in helping to shape the future of this novel aquaculture industry the LG2 team would appreciate your input: click here to download a questionnaire based on identifying the potential market for farmed lobsters. Jean is the Chair of the ISC and her experience at cultivating and nurturing relationships with businesses in Cornwall makes her ideal for this role. Before Jean retired in 2015, she was Head of Strategic Economic Development in Cornwall for the University of Exeter. Chris was the Chief Inspector of the Fishmongers’ Company in London and also a past president of the International Association of Fish Inspectors (IAFI). Chris is now director of Pandalus Consultancy Ltd involved in setting up quality control systems and training inspectors. His knowledge and past experience makes him ideally positioned to advise on potential markets and importing/exporting lobster internationally. Aquaculture Operations Manager Alex has over 25 years’ experience at working in the aquaculture industry and is now in charge of The Crown Estate’s finfish, shellfish and seaweed cultivation business activities throughout the UK. Alex brings his capability of close communication with the aquaculture industry and regulating authorities to the committee, and is always looking to help develop cross-sector opportunities. Director Having worked in shellfish cultivation for the past 20 years, and now the director of the SAGB, David’s hands-on experience in shellfish farm management including production, business development, marketing and sales is of great value the Lobster Grower 2 project and industrial steering committee. Director Grant’s understanding of shellfish diseases specifically in relation to their control in the context of global aquatic food security is of importance for Lobster Grower 2 and is likely to feed in to establishing viable markets nationally and internationally. Buyer The ISC will benefit from Jake’s experience purchasing and sourcing from international seafood suppliers. Jake understands the UK commercial opportunities for cultured lobster which LG2 is investigating and works closely with suppliers to understand the seasonality of raw material and their individual capabilities of handling the product. Dawn is a key person to have on the ISC as her experience will help Lobster Grower 2 be aware of the potential environmental impacts of setting up aquaculture ventures and how these impacts may be mitigated and reduced. CEO Asbjørn has been developing the technology for farming European lobster for more than 18 years. This has led to Norwegian Lobster Farm AS being the first company in the world to produce plate-sized lobsters. His biological and technical know-how for culturing lobster will be invaluable to Lobster Grower 2. Asbjørn also brings his understanding of developing markets for farmed lobsters to the ISC. Aquaculture and Fisheries Manager Jeremy has extensive knowledge at sourcing responsible seafood for one of the largest supermarket chains in the UK. The ISC will also benefit from Jeremy’s familiarity in customer focus when identifying suitable markets. Director Wing of St Mawes, a wholesale fish merchant, was founded by Robert over 35 years ago. Robert is still involved in the in the day-to-day running of the business and his skills and experience as a head chef, fisherman and trawler owner means he will contribute valuably to the ISC. Director Johnny has knowledge of crab and lobster markets in Cornwall as well as selling shellfish directly to high end restaurants in London and throughout the country. As well as this, Johnny has been a Cornish fisherman for many years and therefore can gives the views of how the local fishing community may benefit from LG2. Principle Scientific Officer Colin leads the Cornwall IFCA scientific investigation team which focuses environmental surveys of the coastal waters around Cornwall and relates this to fisheries policy. Colin can provide advice on potential environmental impact monitoring and also provide a fisheries based focus and understanding of any potential issues facing fisheries enforcement as well as a link to the fishermen. Technical Development Manager Adrian has an extensive career in Technical Development which has led to developing products and technical delivery processes. Adrian brings this knowledge in this sector which can potentially help develop the farmed product from LG2 and give access to customer focus groups. Aquaculture Manager Charlotte is a perfect person to have on the ISC as she is the Aquaculture Manager at TESCO with special interest in research and development. At TESCO, Charlotte oversees the assurance of the aquaculture supply chain and works with suppliers and the TESCO fish team to ensure customers can enjoy great quality, responsibly sourced, healthy seafood all year round. Mike brings a wealth of knowledge of the foodservice market to the ISC having spent 32 years at M&J Seafoods as Purchasing and Marketing Director. Mike also leads on the GAA’s Best Aquaculture Practice Certification Standard which will also be beneficial to the project because obtaining a Certification of Aquaculture is a prerequisite for most leading retailers and foodservice operators.